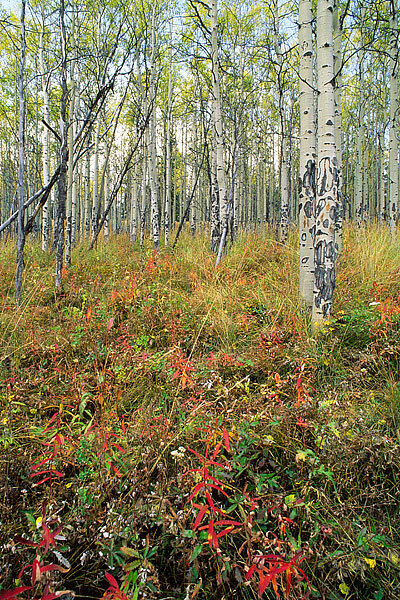 Aspens in the Routt National Forest outside of Toponas, Colorado begin to show there fall colors. The grasses and underbrush have already turned and the Aspen groves have started the turn to yellow. Photo © copyright by Thomas Mangan.